Mined rough diamonds are converted into gems through a multi-step process called ‘cutting’. The preliminary analysis of the rough stone is very important and several possible shapes are usually considered. Factors taken into account include the original shape of the stone, location of internal inclusions, preservation of carat weight and popularity of certain shapes among consumers. Most gem-quality diamond crystals are octahedral in their natural state. These crystals are usually cut into round brilliants as it is possible to cut two stones from one crystal with minimal loss of weight. Oddly-shaped crystals are more likely to be cut in a fancy cut (cut other than the round brilliant), depending on the shape that the particular crystal shape lends itself to. The first round or brilliant cuts were introduced in the 18th century with a mere 17 facets on the diamond’s crown (top half). The modern brilliant cut was perfected in the early 20th century with a total of 58 facets (33 on the crown) and is now the most popular of all cuts. 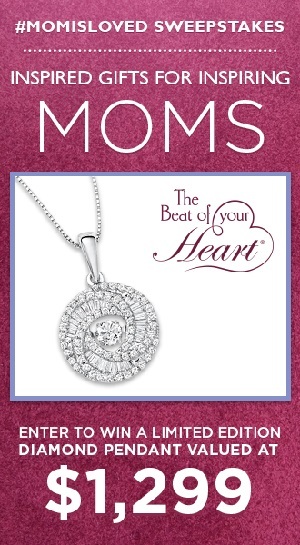 It maximizes natural light and provides the most sparkle of any of the diamond shapes. Princess cut engagement rings are second to the brilliant cut in popularity. Princess cut diamonds were created in the 1970s, originally with 58 facets. They are square or slightly rectangular and the intricate facets accentuate the diamond’s fire. This cut wastes the least of the original crystal of all the cuts and so tends to be slightly less expensive per carat weight. The emerald cut is a step cut. Emerald cut diamonds do not refract and reflect light as readily other cuts, but the cut clearly displays a stone’s clarity, whiteness and lustre. Simple emerald cut engagement rings have a minimalist, modern look. Slender, rectangular baguette stones, another step cut, are often added as side stones to flank a ring’s larger centre stone. The Royal Asscher cut was designed at the beginning of the 20th century. It is similar to the emerald cut but square rather than rectangular and with additional facets, 74 in total, giving superior sparkle. The Royal Asscher cut has a chunky feel with clipped corners and stepped sides. Art Deco engagement rings often prominently feature the Royal Asscher cut and other step cut stones. The fashionable and elegant cushion cut has round corners and large facets. Cushion cut engagement rings have a soft look and hearken back to a romantic era. Cushion cut diamonds are often placed in a halo setting, which surrounds the centre diamond with a frame of pave diamonds. This adds significantly to the overall sparkle of the ring. The unique and majestic marquise cut, with its many-facetted cut and tapered points at two ends, has a dramatic look. The elongated nature of the marquise cut can be very flattering for short fingers, making them appear leaner and more slender. This cut also cleverly gives the illusion of a larger diamond compared to a brilliant cut diamond of the same carat weight. The radiant shape is relatively scarce and appeals to those looking for a unique look. It combines the geometrical lines of the emerald shape with the sparkling brilliance of the round cut. It has 70 facets to maximize light refraction. 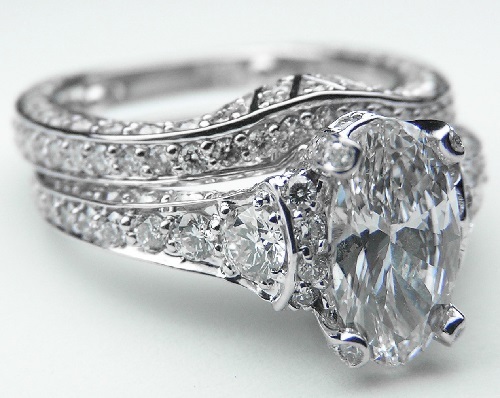 A radiant cut engagement ring can be a more unusual alternative to a princess cut engagement ring. Oval shaped diamonds were created in the 1960s as a modification of the brilliant cut. They generally have 56 facets and deliver plenty of sparkle. Similar to the marquise cut, the oval cut tends to lengthen short fingers as the elongated shape gives the illusion of length to the hand. Oval centre stones are often flanked by side stones, sometimes smaller diamonds or sometimes coloured gemstones. Pear shaped diamonds are also known as the teardrop shape as they resemble a twinkling tear. They combine the rounded end of the oval with the tapered point of the marquise. This shape usually has 58 facets and is another modification of the brilliant cut. Pear shaped diamonds can be fatter or more elongated. Heart engagement rings are the ultimate symbol of romance and sentimentality. Another modified brilliant cut, the heart cut is a difficult shape to execute. However, the 59 facets of the unique shape give a high degree of sparkle. Heart cut diamonds also vary in the degree to which they are elongated so you should consider your preference.